On Saturday nights, Rhode Island Stories kicks off a month of creepy, scary, fun, and always informative documentaries for Halloween. This Saturday, September 29, at 7 P.M., we kick off the creeps with Laff in the Dark: Behind the Scenes of an Amusement Park Dark Ride. 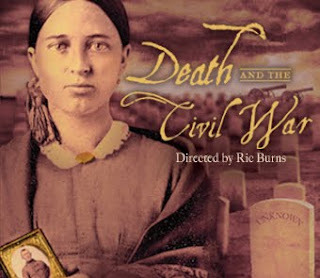 Click here for a full description of the documentary. Every year, we receive several requests to air this documentary! Produced by WSBE ("Channel 36" then, "Rhode Island PBS" now), Wake of '38 tells the story of the hurricane that struck southern New England on September 21, 1938, using archival newsreel and home movie footage, and contemporary interviews with eyewitnesses and survivors. The hurricane was estimated to have killed between 682 and 800 people, damaged or destroyed over 57,000 homes, and caused property losses estimated at US$306 million ($4.7 Billion in 2012 dollars). Downtown Providence still has buildings that are scarred by the water lines, some 13 feet above ground level. This annual "favorite" was filmed in 1978 and won an EMMY(R) Award for WSBE. We proudly air it on Thursday, September 20 at 9 P.M. on Learn. 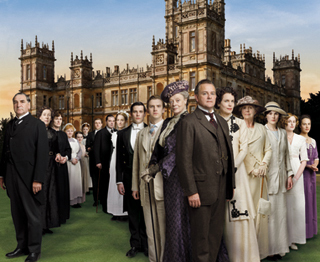 Rhode Island PBS presents Season 1 of Downton Abbey on Masterpiece Fridays at 9 P.M., beginning September 28. We will encore Season 2 at the end of November. Downton Abbey was nominated for 12 Emmy awards and won four - including Outstanding Miniseries - in its first season. It has been nominated for a staggering 16 Emmys for its second season. 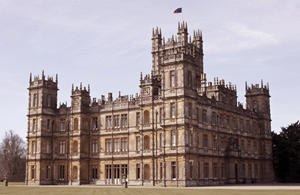 Taking fondness for Downton Abbey a grand leap forward, Rhode Island PBS is working with Collette Vacations on a customized 11-day tour of British landscapes that includes a visit to the real-life Downton Abbey - Highclere Castle, the sumptuous home of Earl and Countess of Carnarvon where the Downton Abbey series is filmed. Read more here. Broadway or Bust tracks the real life stories of America's top high school musical performers vying in the ultimate competition to find the nation's best young theater stars. It's non-stop drama when 60 talented teens - chosen from a nationwide casting call of over 50,000 students - descend on New York for an intensive week of "theatrical boot camp" and a shot at stage stardom and scholarships. 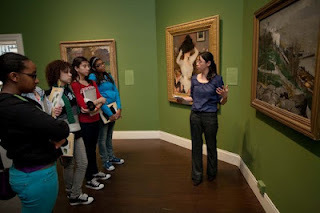 The annual event, held each summer, is filmed for the first time ever and airs three consecutive Thursdays at 10 P.M. beginning September 20, on Rhode Island PBS. 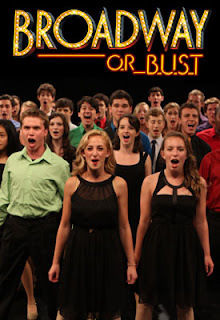 Part competition, part performance and part non-fiction drama, Broadway or Bust is the first-ever TV series to capture the behind-the-scenes coaching, grueling rehearsal schedule and highly charged atmosphere leading up to the National High School Musical Theater Awards (NHSMTA). Popularly known as "The Jimmy Awards" - named in honor of renowned Broadway theatre owner and producer James M. Nederlander - this national competition plunges the country's top teens into the eye of the theatrical storm for one intense, make-it-or-break-it week in New York City. The whirlwind competition culminates in an awards event on a Broadway stage in front of a live audience and a panel of high-profile judges. Broadway or Bust airs as part of the PBS Arts lineup, a multiplatform commitment to make the arts accessible to all. Deborah Cox and Constantine Maroulis, featured in Broadway or Bust, will be in Providence when they appear in the show, Jeckyl and Hyde, coming to the Providence Performing Arts Center in January. “I was raised in a place called ‘Charm City’ – most know it as Baltimore. Growing up, I vividly remember the blue-collar nature of the individuals and the city itself. At this point in my life I no longer have a daily connection to the blue-collar worker, and I have lost touch with the very essence of my upbringing and the people who occupy my childhood and adolescent memories. The Tradesmen: Making an Art of Work is that exploratory social documentary. It will engage the viewer as they watch the vocational lives of several tradesmen and will discuss the issues encompassing the trades in contemporary America. The documentary is a real and unflinching look at the lives and work of the modern tradesman and is an exposition into the socioeconomic topics related to the modern blue-collar craftsman. “The people who do not value and acknowledge the intellect inherent in this type of work are the individuals who have never performed this type of work on a large scale. 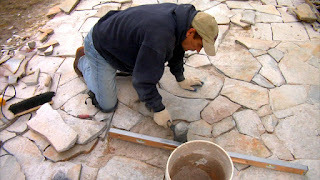 Anyone who has ever monitored a skilled tradesman at work and immersed in the task at hand, would quickly realize that there is a skill set and know how that is accumulated through copious experience and intangible knowledge. “Moreover, since there has been this new movement towards so-called knowledge industries, there has been a pervasive disdain for any industry perceived to be industrial, and by extension – antiquated. Somehow, educators – and a majority of the population as a whole – feel that these types of ‘industrial’ jobs do not require a skill set worthy of teaching and acknowledging, and that are youth shall not be tracked or “nudged” into such professions. Essentially, parents and educators are reinforcing such negligence of intelligence in the work. WSBE Rhode Island PBS is proud to encore The Tradesmen: Making an Art of Work on Monday, September 17 at 9 P.M.
WSBE Rhode Island PBS transmits standard-definition (SD) and high-definition (HD) programming over the air on digital 36.1; on RI cable services: Cox 08 / 1008HD, Verizon 08 / 508HD, Full Channel 08; MA cable: Comcast 819HD, Verizon 18 / 518HD; on satellite: DirecTV 36, Dish Network 7776. Put October 7 on your calendars for the Austin City Limits season 38 premiere with Radiohead. And while you’re at it, you can also bookmark the exciting behind-the-scenes look at the episode by Austin City Limits videographer Jonathan Jackson. Other great videos may be posted, too, as the new season approaches. Art Rhode Island's Martina Windels will host two public screenings of episodes from the new season of Art Rhode Island (Art RI), followed by conversations with the audience. Please note the start time has changed to 7 P.M. for both screenings. Both events are free and open to the public. Bring your friends, colleagues, family ­– spread the word. This just in! Providence Performing Arts Center just announced that Jackie Evancho will perform with the Rhode Island Philharmonic Orchestra during her concert in Providence on Thursday, May 9, 2013 at 7:30P at the Providence Performing Arts Center. Tickets go on sale Friday, September 14, 2012 at 10A, but only Rhode Island PBS has the best seats in the house for this concert, plus an exclusive meet and greet reception. Tune in tonight (September 5) at 7:30 P.M. for all the details. Acclaimed soprano prodigy JACKIE EVANCHO will perform with the Rhode Island Philharmonic Orchestra (RIPO) at the Providence Performing Arts Center (PPAC) on Thursday, May 9, 2013 at 7:30P. In 2010, when Jackie was ten years old, she astonished audiences around the world on NBC's "America's Got Talent." 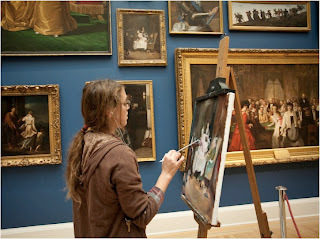 Jackie came in second place on the national contest, and since then, Jackie's career has flourished at a very rapid pace. She was named to Billboard's "21 Under 21" list, their annual ranking of the most powerful minors in the music industry. Billboard said her spectacular successes in 2010 and 2011 – including the blockbuster releases of her holiday EP O Holy Night and full-length album Dream With Me, and the artistic triumph of the Dream With Me special and live concert appearances – set her apart from other young performers. When Jackie’s major label debut O Holy Night was released in November 2010, it became the year's #1 best-selling debut recording with sales exceeding one million. It rocketed into the Billboard 200 at #2, and the EP's chart and sales success secured Jackie's position as the year's top-selling debut artist as well as the youngest female solo artist to debut during the SoundScan era. In addition to its pop chart success, O Holy Night reached #1 on the Billboard Classical Chart and #2 on the Billboard Holiday Chart. 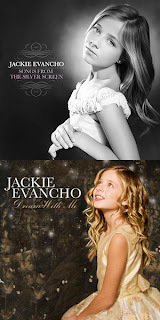 Dream With Me, released in June 2011, was Jackie’s first studio album and debuted on the Billboard Top 200 chart at #2; it was certified Gold after only four weeks of release. Her follow-up holiday record, Heavenly Christmas, was among the top-selling holiday albums of 2011. Jackie applies her brilliant voice and extraordinary artistry to an entirely new set of classics with the release of Songs From the Silver Screen, her newest collection for Columbia/Syco Records, on October 2, 2012. For this album, Jackie collaborated with Grammy-winning producer/engineer Humberto Gatica, whose lengthy and impressive experience in the music industry has seen him work closely with Grammy award winning producer David Foster, as well as with superstars like Michael Bublé, Madonna, Michael Jackson, Mariah Carey, and Barbra Streisand. "No one can sing classical crossover music with the technical precision, emotion, and intelligence that Jackie brings to it," says Gatica. "With the songs we've selected for this album, we can show her fans how her talent has only deepened and matured since Dream With Me, which I think was one of the most outstanding albums of 2011." Jackie's beauty and poise have also led her in other directions besides music. She was selected by the GUESS Kids clothing line to be in all of their Fall 2012 print advertising. Famed film star/director Robert Redford also requested that Jackie play his daughter in the upcoming film "The Company You Keep." "I am so happy that Mr. Redford picked me to be in his film. And I was excited to learn from performers that are amazing at what they do," says Jackie, who worked with a star-studded cast that included Susan Sarandon, Shia LaBeouf, Terrence Howard, Anna Kendrick, Nick Nolte, and Stanley Tucci. The film will be released in 2013.